No more wasting time in set up. Get that Christmas tree up in minutes! No assembly required and no screws to tighten. 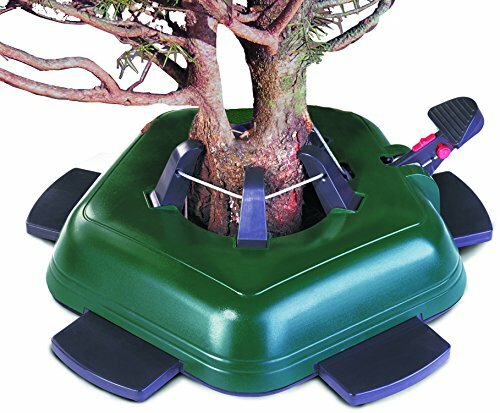 Will secure any tree up to 12 feet tall, 18 lbs and trunks with 1 to 7" diameter. 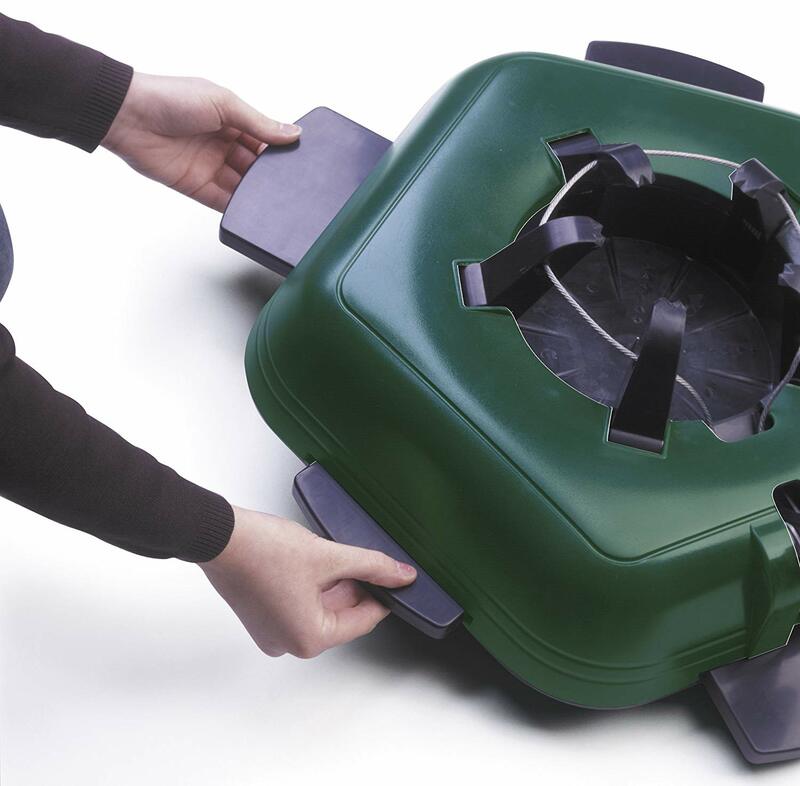 5 extendable feet for extra security and a foot pump for securing and straightening 5 claws in grabbing the trunk safely. A single cable clamp operation for equal pressure around the trunk is what ensures the tree stands firm and straight whether the trunk is thick, thin or crooked. Medium and Large size basin holds 1 gallon of water. XXL and XXL Deluxe come with a 2 1/2 gallon water basin. 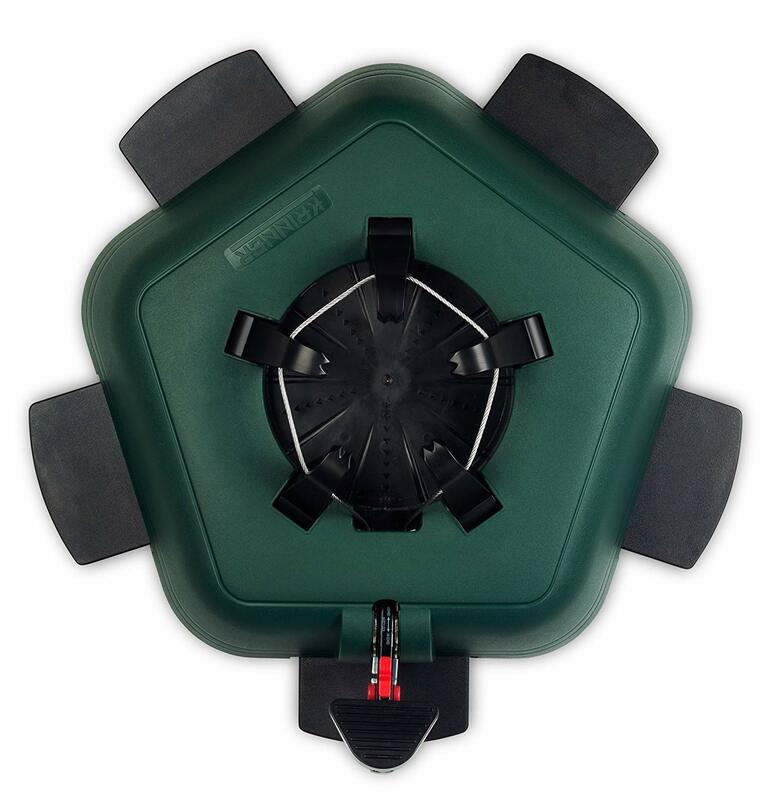 XXL Deluxe comes with a water level indicator for easy monitoring.